Cowlick Hall is one of the most beautiful wedding venues in Nottingham. Find out why I love photographing weddings at the superb venue and what makes it so special. 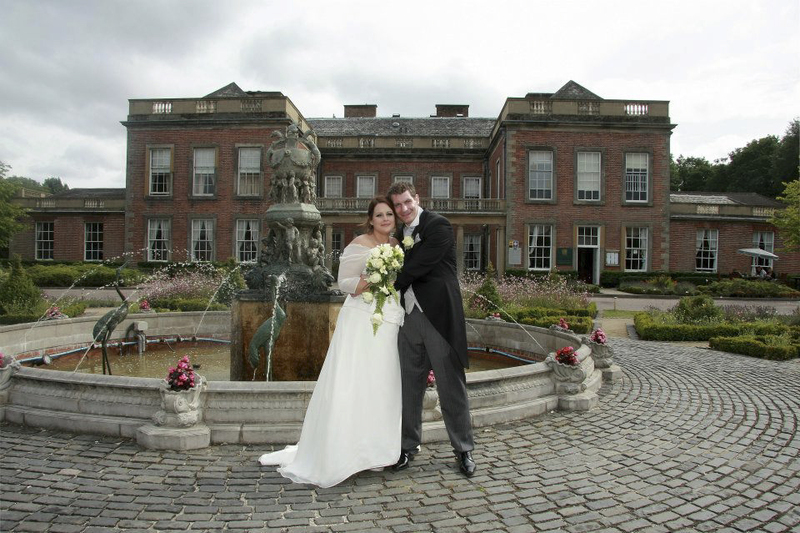 Colwick Hall has long enjoyed a close association with the world famous English poet Lord Byron, and the pedigree and splendour of this wedding venue are always evident. Nestling within over 60 acres of tranquil parkland, this is one of Nottinghamshire's most prestigious venues. The hall boasts a variety of luxurious function spaces and can cater for up to five events at a time. Indeed, the marquee to the rear of the main building can comfortably accommodate weddings with over 200 guests. Even a trip to the lavatory is quite an experience, with wall to wall mirrors and beautifully ornate marble tiling, you will truly feel like royalty! If you're a bride getting ready in one of the rooms, you won't be disappointed. The stunning rooms and furnishings are perfect for the start of your wedding day preparations and the room settings provide me with a wonderful environment to create stunning bridal photography. The gardens are very large allowing wedding guest to wander across the lawns to the river with ease. With water fountains front and back, Colwick Hall offers a very grand experience. The impressive driveway leading to the Hall allows for the bride and groom to be dropped off at the entrance and there's ample parking for wedding guests just a short walk across the beautifully planted ornamental gardens. The garden area provides ample photo opportunities for your wedding day. From the serenity of the lake to the rear of the lawn, to the elegant fountains around the main building. I particularly enjoy capturing the wedding day celebrations in full swing around the stylish bar area and within the dramatic grand hall. Stylish and grand, Colwick hall certainly is one of my favourite wedding venues in Nottingham. My wedding clients report, both the food and service are excellent. Why not call in on one of their wedding open days and have a look for yourself.